The EQB Series Bench Scales from TOR REY are well-suited for shipping and receiving applications, teaming high performance, accuracy and flexibility to deliver an incredible value for your business. The EQB Series (EQB-50/100 x 0.02 lbs) is equipped with a handlebar to allow for easy transport around the stockroom and production floor. Built to last, our scales feature an AC adapter and built-in rechargeable battery with an auto power-off function to save power. The large steel base is designed to handle the demands of every day industrial weighing. With a footprint of 19" x 15", this power scale meets the needs of your business while requiring minimal space. 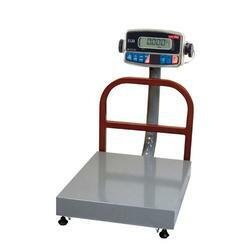 The EQB Series scales also feature an easy to read display mounted on a 23" steel pillar. Attractively designed and touch enough for every day professional use, the EQB Series scales will be a welcomed addition to your business. 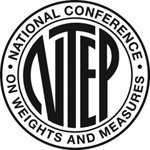 Whether you’re a storage company, market, foundry, manufacturer or office supplier, the EQB Series will meet the weighing needs of your business. So if you need a dependable and affordable shipping/receiving bench scale, choose the EQB Series from TOR REY. The EQB Series (EQB-100/200 x .05 lbs) is equipped with a handlebar to allow for easy transport around the stockroom and production floor. Built to last, our scales feature an AC adapter and built-in rechargeable battery with an auto power-off function to save power. The large steel base is designed to handle the demands of every day industrial weighing. With a footprint of 19" x 15", this power scale meets the needs of your business while requiring minimal space.